The marketplace for Manufacturing Enterprise Resource Planning (ERP) platforms is maturing on a daily basis, getting more and more crowded with excellent software tools for a variety of use cases, verticals, deployment methods and budgets. Traditional ERP providers continue to offer Supply Chain Management (SCM) and Customer Relationship Management (CRM) capabilities that have remained staples to the market since widespread adoption of ERP software began more than a decade ago. Disruptive newcomers and new customer trends are bringing new technologies to the table, however, so that organizations can take full advantage of data. There are large providers we refer to as ‘mega-vendors’, like Infor, Oracle, SAP and Microsoft. There are also the lesser-known innovators with interesting products that play in niche areas, such as IQMS, Workday, Workwise Software and Acumatica. In an attempt to assist you with what can become a daunting task of selecting the right product, these are the best manufacturing ERP platforms for 2019. 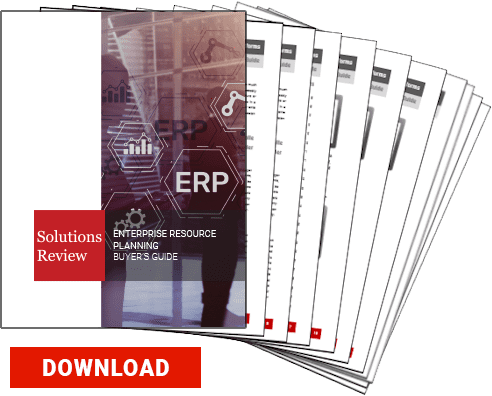 If you find this helpful, be sure to check out our Manufacturing ERP Buyer’s Guide, which features key capabilities to look for before purchasing, steps to take before implementing the ERP tool, a comprehensive overview of the market, and full, one page profiles of the top manufacturing ERP vendors, including our “Bottom Line” analysis. Abas provides ERP software built on open standards that enable manufacturers to unlock the power of their business-critical content. Abas ERP is a complete solution that provides multiple integrated functions and a wide range of valuable solutions from APS to project management. Abas experts provide direct consulting services including business process optimization, ERP implementation, custom development, and ongoing support to midmarket businesses in custom manufacturing, industrial machinery, automotive and supply, electronics, component production – particularly metals processing and plastics – as well as small series and make-to-order production. Acumatica provides feature-rich cloud manufacturing ERP software: Acumatica Manufacturing Edition, formerly known as JAMS, integrates seamlessly with Acumatica’s Distribution Management, Customer Management, Financial Management, and Project Accounting suites. Acumatica Manufacturing Edition provides real-time coordination of your business activities from one central location. Powerful and complete functionality for make-to-stock, make-to-order, engineer-to-order, project centric, job shop, batch, and repetitive manufacturing adapts to your business as you grow and change. Aptean builds and acquires solutions to support the evolving operational needs of businesses, helping nearly 5,000 organizations. Aptean’s ERP solutions include Cimnet ERP, Encomprix ERP, Ross ERP, and more, each designed to fit individual needs for manufacturing companies in a wide range of industries including ETO, MTO, ATO. Aptean’s ERP solutions are fully integrated with all your systems, bringing value to every functional area from finance and customer service to inventory control and process management. Aquilon’s ERP modules for manufacturing management are ideally for small and mid-sized growing manufacturers. The manufacturing modules seamlessly integrate end to end processes and departments from start to finish. Aquilion ERP modules combine to provide a powerful solution for assemble-to-order, make-to-order, and make-to-stock manufacturing environments. Additionally, these modules integrate with customer service, invoicing, sales analysis and financials, providing for effective communications and control between these essential business functions. BatchMaster ERP is an affordable, easy-to-use, complete ERP solution specifically designed for the process industries, including food, beverage, chemicals, nutraceuticals and pharmaceuticals. BatchMaster Manufacturing is an industry specific application that runs with QuickBooks, Sage 100 & 300, Microsoft Dynamics GP, and SAP Business One financials. The company’s ERP solution is an end to end, platform for process manufacturers who require financials, sales, purchasing, supply chain, and customer service, in addition to process manufacturing. Cetec provides an all-in-one ERP solution with everything from sales and quoting to inventory management, document management, shop floor control, quality management and financial accounting. Cetec ERP’s powerful design and modern delivery make it unique among its peers, providing your business with a platform to increase both capacity and efficiency. Start for free on a leading-edge system, stay continually updated, secure a path forward. All modules, support, maintenance, upgrades included in monthly subscription. Shoptech’s E2 Manufacturing System is a fully integrated ERP solution designed for discrete manufacturers of all sizes utilizing make-to-order, make-to-stock, engineer-to-order, assemble-to-order and mixed-mode processes. E2 MFG System’s feature set includes scheduling, work queue dispatching, quoting and estimating, CRM, product configurator, quality control management, MRP and material forecasting, inventory control, warehouse management, customizable KPI dashboards, business intelligence, and complete financials and shop floor data entry, and more. Innovative ERP solutions from Epicor pave the way for today’s manufacturers of all industries to streamline business processes and break down barriers to growth, while remaining agile for rapid response to customer demands and evolving markets. Boost efficiency with real-time, actionable visibility into plant and business operations and more. Innovative ERP software from Epicor Software pave the way for today’s Manufacturers to streamline business processes and break down barriers to growth, while remaining agile for rapid response to customer demands and evolving markets. Genius ERP is the end-to-end manufacturing ERP software solution for planning, executing, measuring, and improving high-variable production for SMEs handling make-to-order, engineer-to-order, custom-to-order, and assemble-to-order manufacturing. Automate time-consuming steps, quote for more jobs, estimate with greater accuracy, reduce bottlenecks on the shop floor, and more. Genius ERP is the complete software toolkit for custom manufacturers looking to take control of every aspect of their operations — all from a centralized system that’s easy to use, and quick to implement. Global Shop Solutions offers a One-System ERP software to serve clients across manufacturing industries of all sizes. The multi-modular application comprises of independent modules for customer relationship management, inventory management, accounting, scheduling, job costing, agile project management, designing and more. Businesses can either subscribe to specific modules as per their requirements or subscribe to a full-fledged ERP suite. ERP software from Global Shop Solutions also provides robust business intelligence capabilities for monitoring the health of manufacturing system; analyzing business data in real-time and making valuable decisions. IFS Applications is a different kind of ERP. It is not complex and rigid like some other ERP suites. Rather, it is designed to rapidly adjust to changes in technology and business, maximizing enterprise agility. It has native functionality for enterprise project management (EPM), enterprise asset management (EAM) and service management. Built for manufacturers of all industries, such as aerospace & defence, automotive, engineering and construction, oil & gas, process manufacturing and more, IFS Applications helps more and more manufacturers operate in any combination of: MTS, MTO, CTO, ETO and more. IQMS provides manufacturers the best choice for reliable, real-time ERP software developed especially for manufacturing processes. Whether you are a small, single plant manufacturer or a large multi-plant, global manufacturer, EnterpriseIQ ERP is the solution to fit your needs. Structured on accountability, the IQMS system combines manufacturing software, MES software and ERP software to improve every aspect of your business. KeyedIn offers custom manufacturers a solution that enables efficiency, profitability, and growth through flexible ERP software, specifically designed to work the way manufacturers do business. KeyedIn Manufacturing is a cloud-based ERP solution specifically designed for custom, make-to-order and mixed-mode manufacturers. The solution offers manufacturers a solution that can be customized to unique processes using a configurable technology platform. With KeyedIn Manufacturing, users have complete visibility over the manufacturing process including CRM, estimating, purchasing, production, shop floor, shipping, financial and more. MIE Solutions is the leading provider of production control software for the entire manufacturing sector. MIE Trak Pro is the market leading ERP software for sheet metal fabricators, precision engineers, and manufacturers. It can be adapted to incorporate any manufacturing processes if required and offers a complete solution. The company also offers services including training on-site and online, full product support, as well as custom development work, and managed services our cloud-based platform. Macola Software is a provider of business solutions for small to medium-sized manufacturing and distribution companies. Macola empowers today’s modern enterprises to plan, manage, analyze and control their businesses by providing innovative software applications, industry-experienced solutions consultants, best-of-breed technology plug-ins and outstanding client support. With over 40 years’ experience and clients in more than 20 countries, Macola has enhanced every conceivable business process. Macola 10 is the next evolution of Macola and is a huge leap forward toward a more natural ERP experience that increases the speed, accuracy, and reliability of operating your business. OptiProERP is a cloud-based ERP solution for small and midsize discrete manufacturers. Key features include supply chain management (SCM), purchasing, work orders, scheduling and quality assurance. Built with SAP Business One at its core, the OptiProERP solution utilizes the SAP SDK (Software Development Kit) to extend and release innovative manufacturing functionality and industry solutions. Designed to scale as your business grows, in the cloud or on-premise, OptiProERP allows you to focus on managing your business instead of your business managing you. Plex automates the plant floor and informs the top floor. The company’s manufacturing cloud ERP software is designed from the ground up connecting suppliers, machines, materials, people, systems, and customers. Focusing on the unique requirements of discrete and process manufacturing, the Plex Manufacturing Cloud delivers production control, inventory management, supply chain management, and more so you can be more competitive, efficient, and responsive to your customers’ needs. ProcessPro offers a robust ERP system with full manufacturing, inventory and financial integration – a complete system from beginning sales order entry through the manufacturing and accounting process. The software solves the critical needs of batch processing, including forward and backward lot traceability and the management of complex formulas and recipes. The fully integrated quality control functions eliminate the need to re-enter data, and the centralized database provides immediate and accurate visibility of sales, manufacturing and inventory across your business. ​For an even deeper breakdown of each provider listed, consult our buyer’s guide. QAD Manufacturing ERP helps global manufacturers run simultaneous, multi-mode manufacturing and provides full shop floor control of orders across the manufacturing process. Intuitive planning tools from QAD synchronize production to changing demand, while built-in quality management helps you keep a sharp focus on excellence. What’s more, QAD adapts to any style of manufacturing and to the needs of all your geographic locations. As Rootstock was designed and architected by manufacturing and software experts, Rootstock Cloud ERP allows organizations to take a more customer-centric and project-oriented view of operations across a robust suite of modules, including Order Management, Manufacturing, Operations, Supply Chain and Financial Management. 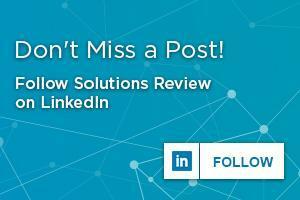 When combined with Salesforce CRM, companies gain complete visibility to their organization and customers. The company offers the On Demand ERP solution for all sizes and types, whether they are small organizations with ten users or large operations with several sites and hundreds of users. SAP Business ByDesign is a cloud based, complete business suite-in-a-box ERP solution, designed specifically for mid-sized companies. This solution unifies every function across the company; HR, Financials, CRM, Supply Chain, Production, Project Management, Inventory and in-depth Analytics, in one seamless suite. Available from SAP Gold Channel Partner and one of the top SAP partners in the world, Navigator Business Solutions, SAP Business One streamlines key processes, giving you greater insight into your business. Workwise is a developer of ERP and CRM solutions along with implementation and support services. WorkWise ERP software is specifically designed for today’s make-to-order, engineer to order, configure to order, build to stock and mixed mode manufacturers. Their ERP solutions are cost effective, easy to use, and allow for full customization. Designed for today’s manufacturing industry, Workwise ERP software is built to meet the unique complexities and challenges manufacturers face. From shop floor to delivery, WorkWise ERP gives you a complete view of every aspect of your business.